Richmond County Baseball is the Northeast's premier destination for youth baseball tournaments. We boast years of experience running elite tournaments from ages 8 through 18. Our facility rivals any in the tri-state area featuring five well manicured all natural grass fields and four batting cages and bullpens. Our press box and multi field view deck are perfect spots for college recruiters and major league baseball scouts to gather and evaluate players. 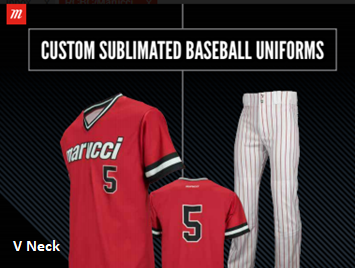 Tournament fees include umpires and baseballs. 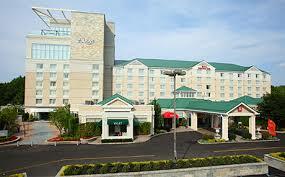 A deposit is required to reserve your spot with the balance due 30 days prior to the tournament. 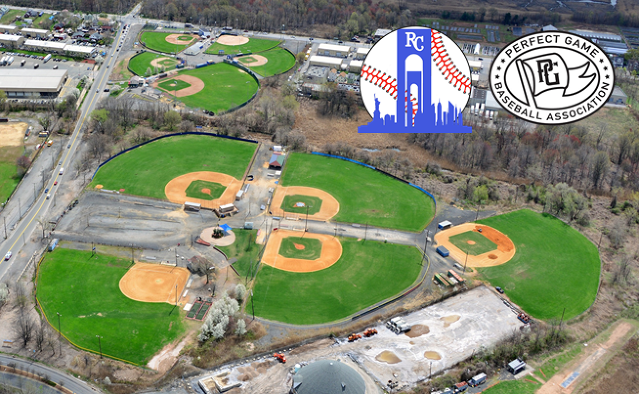 The Richmond County Youth Sports Complex, which plays host to our events, is conveniently located just off the West Shore Expressway (Route 440) in Staten Island, NY, just minutes from the Verrazano, Goethals and Bayonne Bridges and the Outerbridge Crossing. Come experience tournament baseball the Richmond County way. Richmond County will continue to play host to Perfect Game Super25 Super Qualifiers in 2019. Payments - All tournaments require a credit card deposit to initially reserve a spot. The full balance is due no later than 30 days prior to the start of the tournament. Acceptible payments for the balance are credit card (M/C, Visa, Discover) or check made out to RCBC. If paying by check, please mail to our corporate office at 98 Tanglewood Drive, Staten Island, NY 10308. Do not mail cash. Use the Credit Card Authorization Form for subsequent credit card payments. Note: We will charge your credit card on file for the balance of your registration fee on the date that it is due (30 days prior to the tournament) unless you notify us in writing prior to that date that you wish to pay via an alternate method. Insurance - All teams must submit their insurance certificate naming Richmond County Baseball Club and Richmond County Youth Complex as additional insured. 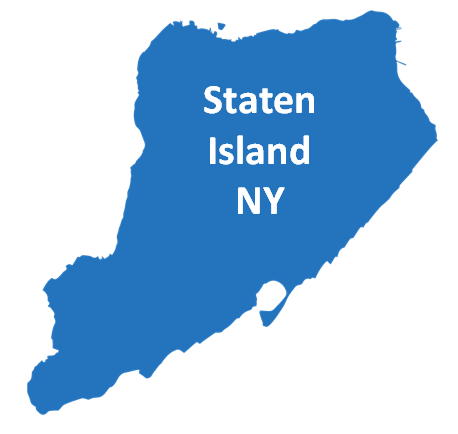 The address is 1400 Travis Ave., Staten Island, NY 10314. Minimum aggregate coverage should be $3 million. A new certificate must be submitted each year. However, once you submit for a tournament, you do not need to resubmit for another tournament in the same calendar year. Please email to christina@rcbclub.com. For teams participating in a Perfect Game (both PGBA and Super25) tournament hosted by Richmond County Baseball, an additional insurance certificate is required. This should name Perfect Game Inc., 850 Twixt Town Road, NE Cedar Rapids, Iowa 52402 as additional insured. This certificate should be emailed to Roxann Hendryx at rhendryx@perfectgameinsurance.org. Rosters - Team rosters are required for all tournaments. For Richmond County tournaments, you must use the Roster Template which is available under Rules/Policies on the Main Menu. Please email to christina@rcbclub.com. For Perfect Game tournaments, rosters must be submitted online via the roster link which will be sent to each team prior to the event. Teams will not be allowed to participate without proper roster information. Managers should also have copies of players' birth certificates with them throughout the tournament. Special Schedule Requests - Special requests for the tournament schedule must be submitted no later than 2 weeks prior to the start of the tournament. We will do our best to honor your request but they are not guaranteed. Please use the Special Schedule Request form to submit your request. Tournament Rules - Managers should review and be familiar with the Tournament Rules and Policies prior to the tournament and have a copy with them during the tournament. Richmond County and Perfect Game tournaments will follow the same rules with the exception of bat restrictions. Note that all Richmond County (non Perfect Game) tournaments in age groups 14U-17U are wood bat only. 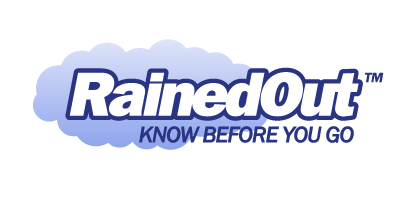 Weather Alerts - Richmond County Baseball uses the RainedOut text messaging service to alert teams when there is a weather delay or change in the tournament schedule. Prior to the tournament, managers will receive an email with the special subscription code which can be shared with players and parents. (Your carrier's text message rates may apply.) Subscription codes are also posted under Bulletin Board on the Main Menu. Schedule updates will also be posted on this website. Richmond County Youth Complex Policies - NO coolers, outside food, pets, alcohol or smoking. NO metal cleats in the batting cages; rubber cleats, turf shoes or sneakers only. Daily gate fees may be charged for certain events or at certain locations. Feedback - Click on the link for our Tournament Feedback Form. We appreciate your response as it will help us as we continue to improve our tournament experience. You can also find the form under Online Forms on the Main Menu.